Don’t you like going to parks? Personally, I LOVE going to parks since I was a little girl. And now is the perfect timing to have a tour around Amman Parks. 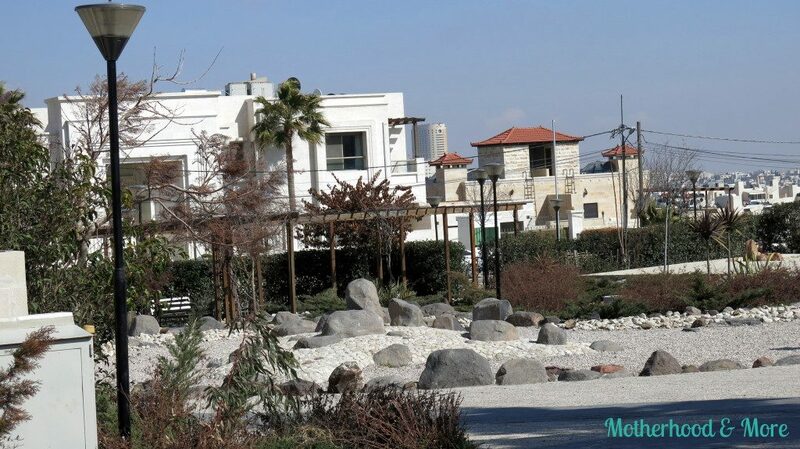 This park is one of my favorite parks in Amman. It is located in Zahran street between 4th circle and 3rd circle. It is a beautiful and a quite park where you can have a walk or sit on its benches. I used to go there when I was pregnant and stroll with my new born where he can sleep and I would sit there and relax or read something. It doesn’t have any playing areas, no slides nor swings. But, there is a space if you’d like to bring bikes or scooters for your children. Small but nice and calm park. It’s worth trying! It is open until 8:30 PM. No fees. 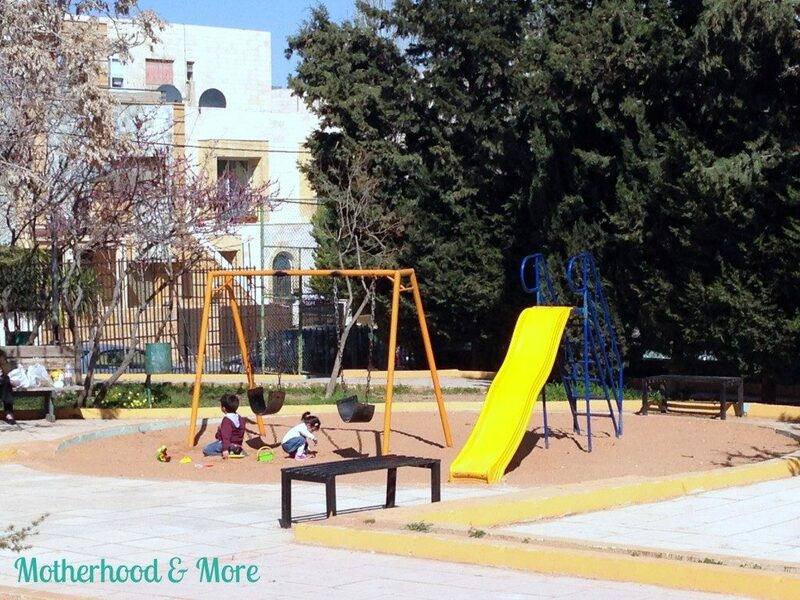 This park is located in Abdoun at Saed Abdo Shamout street which is very close to Taj Mall. It has lots of slides, swing sets, and monkey bars. Also, it has sand and a grass area and a good space for bikes, scooters or skateboards. You can stroll or have a walk there while your kids are on their skates. 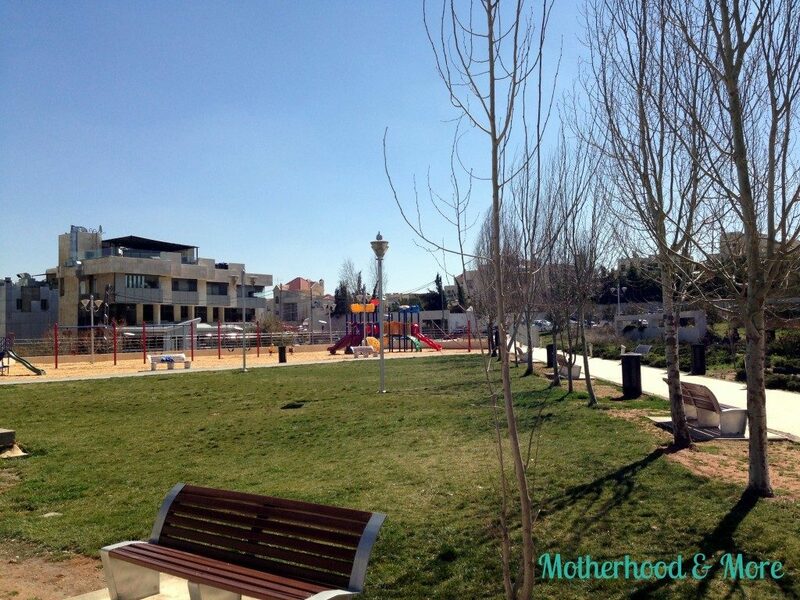 Lots of benches where you can relax and watch your kids play. It is quite in the mornings, and mainly packed in the afternoons or weekends when the weather is sunny and calling for outdoor activities! It is open until 7 PM. No fees. 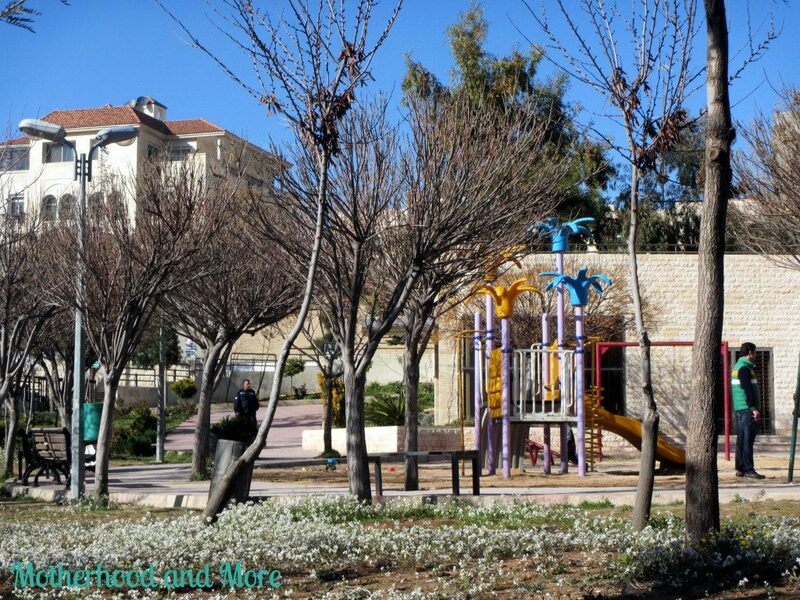 A very small park which is located in Abdoun, near to the Saudi Arabia embassy. A peaceful park with some rocks, plants and a bridge to walk around or sit to relax or read something. In this park, you will feel isolated from the city noise. No fees. It is located in Abdoun, behind Cozmo Grocery Store (Farah Complex). It has swings and slides in the sand. With some benches and sufficient space for biking. 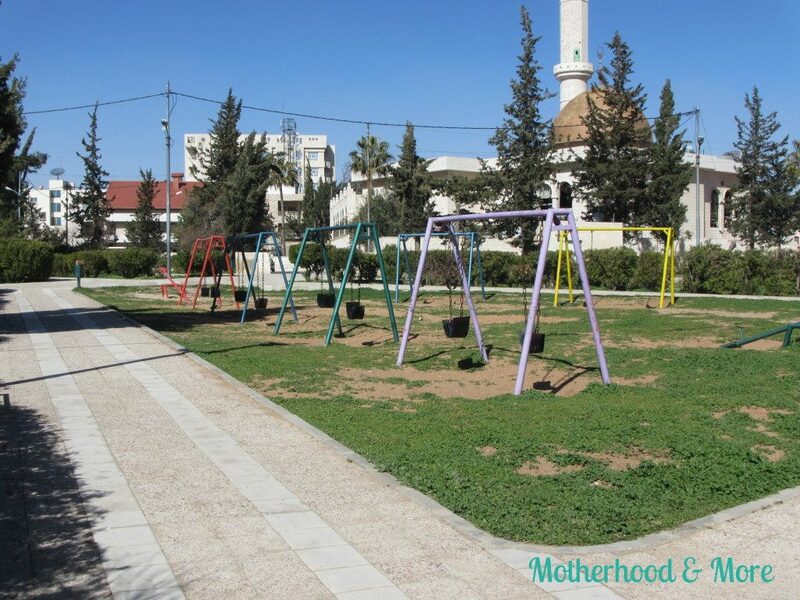 It has a football field where your kids can enjoy their time together. No fees. Located in Deir Ghbar next to Abdulhameed Sharaf school. A big park where your children can have fun. Also, you can stroll, have a walk and play football with your kids. Many benches to sit and watch your children play on swings, slides, and monkey bars in the sand. Also, there is a space to ride bikes or scooters. No fees. It’s located in the 4th circle area. There is a football field for kids to enjoy there time. Some swings and slides. Some benches as well. Enough space for a walk or stroll or bike. No fees. 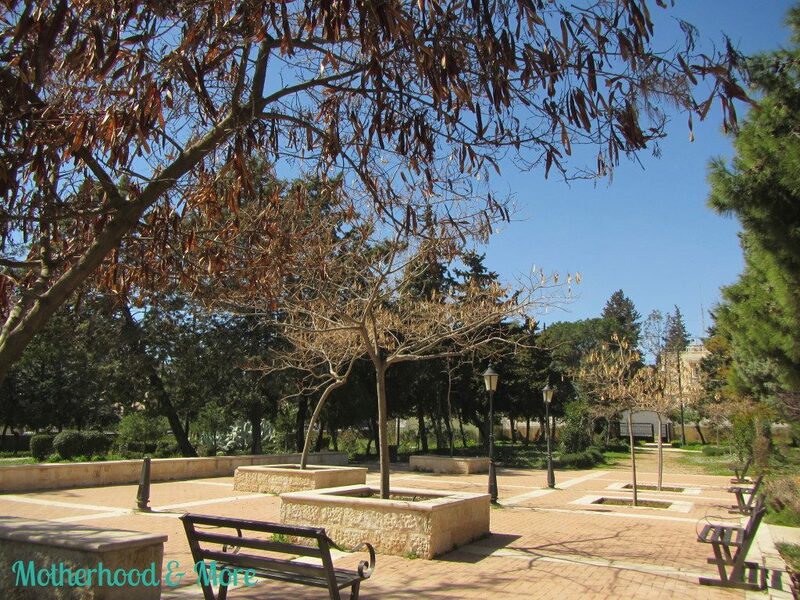 In the next post I will be visiting Canvas Park, Zaha Cultural Center, Haya Cultural Center, Sports City, King Hussien Park, Prince Hashem Toyour Park and Daheyet Al Hussein Park. So stay tuned! If you regularly visit parks not mentioned in the post, then leave me a comment.